Last week on Called to Coach: Southeast Asia Edition we spoke with Gallup-Certified Strengths Coach, Chandru Pingali. Chandru started I-Cube Consortium Ltd. to enable companies in Asia and Africa to achieve scale and growth through strategic and executive leadership. When Chandru first discovered his top five strengths, he immediately recognized that they described him perfectly. He now tries to spread strengths everywhere he goes and to everyone he works with. When working with new teams who haven’t taken the Clifton StrengthsFinder assessment, he makes sure the whole team discovers their strengths. He then meets with the group as a team to determine who can capitalize on their strengths to improve team performance. He also discussed how people with certain strengths are a better fit for different positions. For example, he says his most successful recruiters are those who have Individualization in their top five strengths, because they can quickly spot the talents and potential in prospective employees. Chandru noted that occasionally an individual might not have the strengths typically suited for a particular job. This is when teams need to put their strengths together so they can achieve something that an individual might not be able to on his or her own. To hear more about Chandru and his coaching experiences and expertise, watch the video above. Join us for the next Called to Coach on Friday, June 6, at 1 p.m. EST, when we will host Gallup Senior Practice Expert Lisa Peterson. 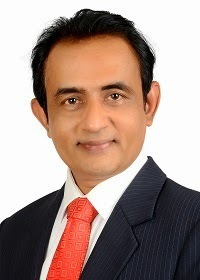 With more than 28 years of professional experience and extensive worldwide exposure, Chandru has built professional expertise in all facets of human capital management. With master’s degrees in pharmacy and management in human resources, he has held several senior HR and business transformation roles.